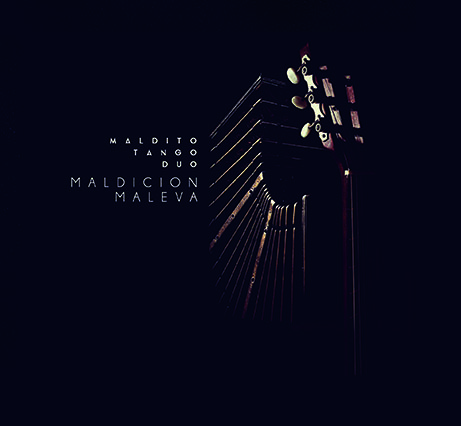 Maldición Maleva is the first full length record by Maldito Tango Duo. Recorded in Oakland, California, Maldición Maleva was mixed and mastered in Buenos Aires, Argentina. The album features twelve tracks of classic and contemporary tangos, arranged and developed over many years of live performance as a duo. Covering all manner of styles, Maldición Maleva will appeal to listeners and dancers alike. Order your copy by clicking the PayPal button below, and be sure to include your address in the order form for fast shipping. Orders placed before 6/20 are pre-orders and will ship that day.